Grizzly Coolers is one of the dominating product manufactured by the Grizzly. Apart from this, Grizzly deals in Drinkware, Gears and many other products. Grizzly is now becoming a prominent name in the Cooler industry. With their huge and impressive product line up, Grizzly offers something unique and innovative when it comes to performance. Where can you buy Grizzly Coolers? Grizzly mainly deals in the Grizzly Coolers. Earlier, they focussed on only Hard-sided Coolers but now, with the time, they have diversified their product line up and you can choose soft-sided coolers as well. These coolers are suitable best for the people who take a long break from their routine work or have a great enthusiasm for the adventure. Grizzly offers a plethora of options under its category of Hard-Sided Coolers. You can choose from a wide variety of products. All these hard-sided coolers come in many vibrant colors so you can choose whichever makes you happy. Moreover, these coolers have a great ice retention life and superior build quality. For more Hard Sided Grizzly Coolers visit Here. Soft-sided coolers, known as Drifter, come in only two sizes. So, you are limited in your choice. You can choose from Drifter 12 and Drifter 20 manufactured by Grizzly. Moreover, the color choice is limited as well. You can only choose among five colors i.e Black/Gunmetal and Green/Black/Orange. Grizzly currently deals in different sizes of the hard-sided cooler. So, you won’t be disappointed with the sizes of coolers offered by the Grizzly. Let’s unveil the features of Grizzly Hard Sided Coolers. Rotomold Design – Designed with the rotomolded design, Grizzly Ice chest is made with from rotational-molded LLDPE Plastic that can withstand the toughest situation. Moreover, the integrated hinge is built with the integrated interlocking design to makes them more durable and stronger. Ice Life –Talking about the ice life, Grizzly ice chests offer superb ice retention. This is because of the presence of silicon rubber gasket that captures the cold air inside the cooler and let go the heat in the normal surroundings. The coolers come with the pressure injected with up to two inches of polyurethane foam that further enhances the ice retaining ability of coolers. Tie Down Slot – For the mobility, Grizzly Coolers come with the Tie down the slot. Using the tie down the slot, it becomes painless to carry or move the cooler back and forth. What all you have to do is to attach the tie with the slot. No matter where you go, you can attach the cooler to the truck or the boat. Coming to the grip, the Bearclaw Latch comes a saviour. Bearclaw Latch – The Bearclaw Latch are user-friendly, replaceable latches that give bear like great grip. So, handling becomes much more convenient. Besides BearClaw Latch, the Grizzly Coolers come with the shoulder strap and side handles so that you no longer get prone to any sort of back problem or injury. Let’s check out what each of the coolers has to offer to us. A brief comparison among the Grizzly Ice Chest will unveil some of the crucial information. Mobility – Grizzly Coolers are designed in a way that it becomes so painless to carry the cooler. For the mobility, the Grizzly Ice chests come with the Tie down the slot and you can attach it with your truck or boat whenever you set up on any adventure. Moreover, the Grizzly Ice chest come with the side handles and shoulders strap. So, you can carry it on your shoulders as well when you feel your hand can’t hold more stuff. To enrich the experience, the Bearclaw Latches offer superior and strong grip. Visual Appearance – Visual Appearance is another thing that was focussed by the Grizzly. With the lot more of choices, the customer has experienced the colorful journey. From simple, sobber to many bright colors, you can choose the color that you can cherish for the lifetime. You can choose from Olive Drab Green, Orange, Red, Sandstone, Seafoam Green, Tan, White, Lime, Teal, and Grey. Cost – You will probably be wondering about the price of the Grizzly Coolers. Grizzly Ice chests are expensive and they come under the premium price tag. They offer the premium specifications and features. The rock solid build quality is another responsible factor for such a price tag. But, we feel is that the price asked by the Grizzly are fair enough. Given the fact that they are IGBC Certified and they offer lifetime warranty justify the price of the Grizzly Coolers. Insulation ability – Grizzly Ice chests stand out of the crowd when it comes to ice retaining capacity. The silicon rubber gasket creates a solid seal between the lid and the rest of the body. It captures the cold air and does not let it escape into the surrounding. Despite this, the rotomolded design also extends the insulation ability of Grizzly Coolers. Two inches of polyurethane foam that comes designed in the cooler is another reason for the impressive ice capability. Grizzly Coolers perform well in terms of Ice retaining capacity. They are your perfect companion for any long journey. With their impressive ice retaining capacity, Grizzly Ice chests have outshined other premium brands. There is a listing of best grizzly hard-sided coolers that we find are delightful. Apart from this, you can buy these coolers from the original store of Grizzly Coolers or the official website of Grizzly. 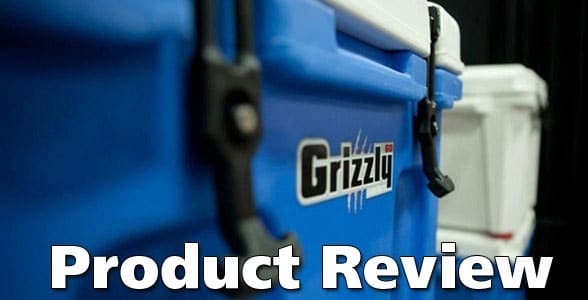 To sum up, Our Grizzly Coolers Review portrayed that Grizzly Coolers offer a powerful performance in terms of build quality and design. Besides this, the Ice retaining capacity of these coolers gives them a lead from the other rival brands. These coolers have the best ice retaining capacity in the market. Being a tad expensive than the other, not everyone can afford it. So, we advise you if are planning to buy a cooler without being bothered about the money, Grizzly Cooler is the best option available to you in the market. We are always there to help you out. Feel free to reach us out. Do let us know what are you planning to buy for your next camping trip?